Among the many countries in the world, the Philippines has the longest Christmas season. The season is already celebrated as early as September. Filipinos consider the months ending with the syllable ‘ber’ is Christmas months. It officially ends on the Feast of Epiphany or Three Kings (Tatlong Hari) on the first Sunday after the new year. The Philippines is composed of various ethnic groups. This means different Christmas traditions are being observed though, of course, they somehow share some relevant similarities. It’s many regions, provinces, towns and cities flamboyantly display its Christmas Spirit by the lights, lanterns and ‘belens’ in almost everywhere. Similarly, houses are already decorated with Christmas lights, Christmas trees and ‘Belens’. While some shoppers, the organised ones like me (LOL), are already planning their Christmas list and purchasing Christmas items on stores. Almost anywhere you go, Christmas greetings are shared by friends and loved ones as the Christmas month progress. With our rich culture and history, this Filipino tradition has become a mixture of the western and Asian culture. Philippines Christmas Traditions lists down the things that makes Christmas in the Philippines unique and interesting. 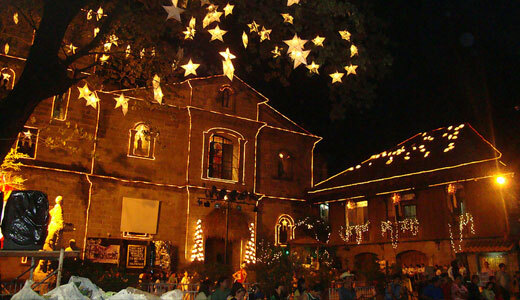 If you are looking for a country to visit this Christmas, take a look at how Christmas is celebrated in the Philippines and how you can enjoy it too. After all, this is a great opportunity to immerse in the culture and tradition of a family-oriented country! As Filipinos all-over the world celebrates this season of love, we relive our Philippines Christmas Traditions through this list! 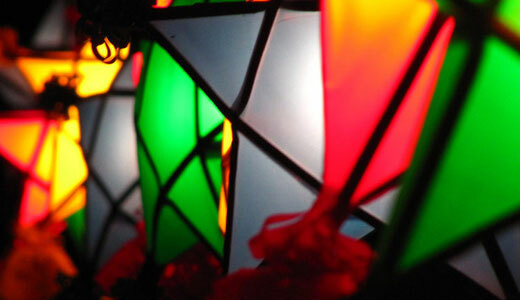 The Parol (also known as the Philippine Lantern) is a unique Filipino decoration traditionally made from bamboo sticks, colorful papers and shaped like a five-pointed star. A candle or coconut-oil lamp is placed inside the Parol for illumination. Putting up a parol in homes, offices, schools and other establishments is a common Filipino tradition. Today, the Parol has been innovated as well, forming into various shapes, sizes and are being made out from different materials. There are cities and towns who like to have a parol-making contest and display it in central areas like the park or town plaza. Be sure to catch one of those when you visit! Another popular Christmas decoration in the Philippines are the Belen. This is similar with the Nativity Scene in many western countries. It is a tableau depicting the Holy Family at the birth of Jesus. Like the Parol, Belens are also a favorite Filipino decoration that is displayed in many establishments, homes, offices, and parks. 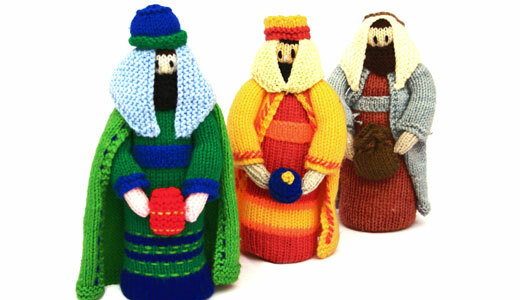 The Belens are often displayed until the celebration of the Feast of Epiphany which marks the end of the Christmas Season. Natural Christmas trees are scarce in the Philippines. Filipinos have turned to artificial trees to decorate their homes during Christmas. When artificial trees are too expensive for the budget, Filipinos turn to homemade Christmas tree to use at home. These homemade trees are sometimes made from dried twigs, dead tree trunk and even recycled paper cleverly designed to look like a tree. Cities and towns love to showcase grand Christmas trees too. It’s always a festive and fun moment to mingle with locals while admiring the trees at nigh, all lit up! Nine (9) days before Christmas, a series of novena masses – locally known as Simbang Gabi or Misa de Gallo- are held in many Churches all over the Philippines. The novena, held at three or four o’clock in the morning, starts on December 16 and ends on the 24th of December. The Simbang Gabi is a cherished Filipino religious tradition that shows deep devotion to God and increases the anticipation of the Nativity of Jesus. Many Filipinos believe that if a person completely attend the nine masses, he can make one special wish that will be granted by God. Bibingka. Bibingka are Filipino cakes made with ground rice, coconut mil and eggs. The cakes are traditionally cooked in clay pots lined with banana leaves. This type of cooking lets out an aromatic smell when served. Puto Bumbong. Another favourite Simbang Gabi delicacy is the Puto Bumbong. It is a purple rice cake, steamed inside a bamboo tube. The rice cake is often topped with Margarine (or butter), freshly grated coconut and muscovado sugar. Hot Chocolate. As Simbang Gabi is done at dawn, hot chocolate or ‘tsokolate’ is a favourite to warm up the body. 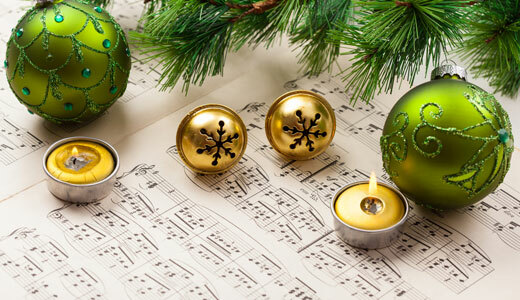 Like most countries , Christmas is celebrated with songs and praises. The Philippines are among those countries where Carolers are welcomed everywhere. Groups of people (children and adults) would roam around the streets visiting houses, singing their hearts out with their instruments – tambourines and guitars. At the end of the songs, after the home owners reward them with money, the carolers would chant or sing their words of “thanks”. Recently, caroling has become a fund-raising activity for Socio-Economic groups and private organizations. ‘Panunuluyan’ is another Filipino tradition observed in some provinces throughout the Philippines. 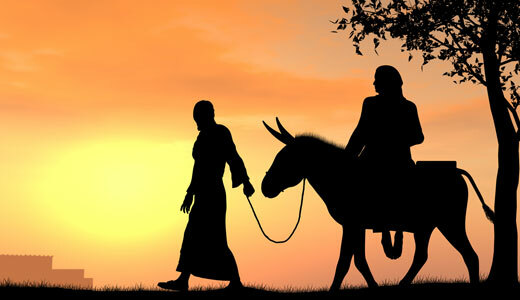 This is similar to the Mexican Posadas where the journey of Joseph and Mary in search for shelter while Mary was pregnant is being reenacted. In some provinces, the re-enactment is done on the Eve before Christmas. 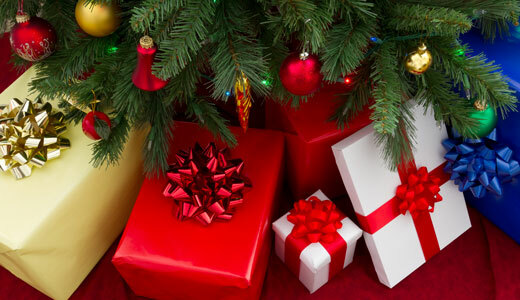 Schools, organizations, homes and offices hold their own Christmas Exchange Gifts. Similar with Kris Kringle, each participant has his/her own secret Santa who gives them gift. Kris Kringle usually starts at the beginning of December. Friends, officemates and families start giving their monito/ monita certain gifts according to the requirements of the gifts for the day or the week. Example it can be ‘something long’, ‘something funny’ or ‘something soft’. If you’re monito or monita loves to travel, for sure he/she will love some unique travel gifts! 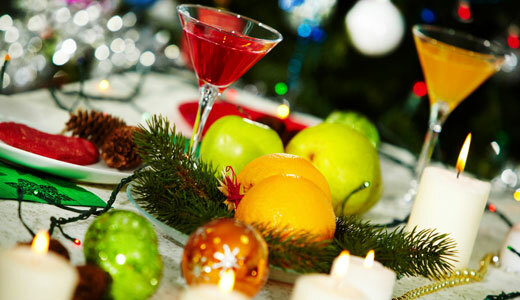 One of the most anticipated event for Filipinos during the Christmas season is the Noche Buena. Who doesn’t love to eat, right? It is a grand family dinner served at 12 midnight or after the midnight mass. Most families use their best china and silver ware during this feast and cook their best recipe. A mark of close family ties, the Noche Buena is a favorite family tradition among Filipinos. During this time, certain Philippines Christmas food are always found on the table. Christmas hams. Cured hams are a favourite for any Noche Buena and is almost always present. Incidentally, Christmas hams are also a favourite company gifts for employees. They are usually included in the Christmas giveaways that employers give to their employees during Christmas parties and end-of-the-year events. Sweet Spaghetti. Many Filipino families wouldn’t thought of leaving out the sweet spaghetti for Noche Buena. It’s a favourite especially for kids and teens. Fruit Salad. The fruit salad is a favourite dessert for any family meal. It is easy to prepare and can even last for days provided that it is stored in a cool and dry place. Cake. Who wouldn’t love some cake during Christmas Eve? Filipino tradition includes serving some sweet cake on the table for dessert. Among the favourite is the Chiffon Cake. Keso De Bola. Or simply ‘Cheese’, the keso de bola is often seen during Christmas Eve and best paired for bread, ham and hot chocolate. Fried Chicken. Who doesn’t love fried chicken? Filipino’s certainly do! And fried chicken are also served during Noche Buena. During Christmas day, it is a common Filipino tradition to visit relatives. Children, together with other family members, would often wear their best or new clothes and go to elder relatives and godparents to pay their respect. An age-old tradition called ‘mano’ where one’s forehead is touched by the elder’s hand is practiced by the children during their visit. 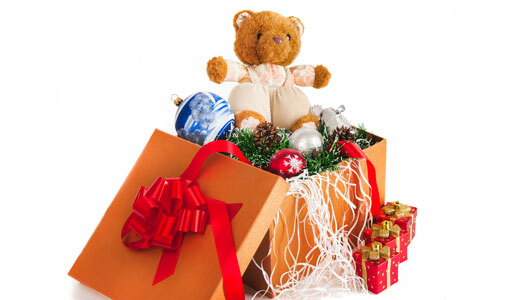 Usually, children are presented with gifts such as money, candy or toys by their godparents or relatives. These gifts are popularly called as aguinaldo. With the modernisation of time, even the elder are given gifts and Aguinaldo. Moms and Dads in particular will love gifts that will make them feel loved and important on this special day! After Christmas Day, Filipinos are now anticipating the coming of the new year. On New Year’s Eve, Filipino families will now gather again for the annual Media Noche or Midnight Meal. Like the Noche Buena, the Media Noche is served at 12 midnight or after the midnight mass. The feast served during New Year’s Eve symbolizes the Filipino hopes of a prosperous new year. Setting out firecrackers, merry-making and loud noises is a tradition believed to cast out malevolent spirits. 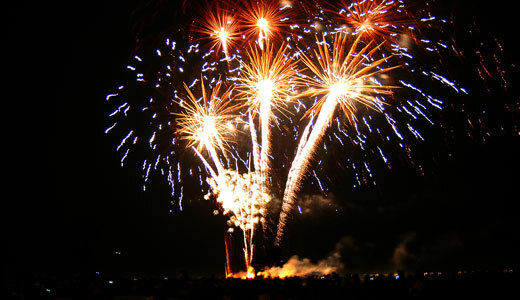 Aside from the delicious meal served for the family, fireworks displays are also much anticipated in major cities. Three Kings or the Feast of Epiphany, is a religious event in the Philippines celebrated with a mass. It marks the end of the Christmas season. Christmas Decorations such as the Parol and Belen are now stowed away. Christmas is much celebrated everywhere in the world. No matter where you are and who you are, we all look forward to the love that this season offers. 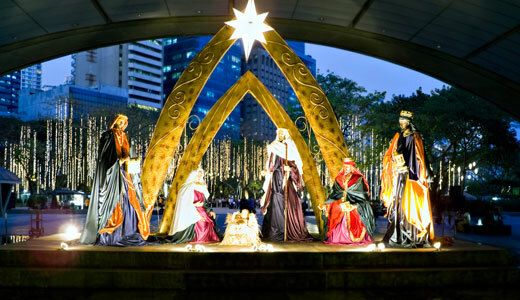 The Christmas in the Philippines has different traditions and has the longest Christmas Seasons. The people in the Philippines shows their creativity every Christmas Seasons. 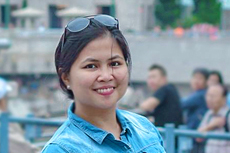 Hi there,I check your blog named “Popular Christmas Traditions/Customs in the Philippines | OSMIVA” daily.Your humoristic style is awesome, keep up the good work! That is so interesting that celebrations last for more than three months and the fact that all months ending with Ber are celebration months. In fact, In India too this is a period of a lot of festivals. Parol looks so much like the traditional paper lamps we have in India that we put outside our homes during Diwali. It’s always interesting to learn the traditions in various countries, I had no idea there are so many things going in in the Philippines around Christmas! I guess they still take things more religiously than commercially, un like other countries. These traditions sound very unique and interesting ! I read somewhere else as well that Philippines celebrates the longest Christmas and it starts right from September, how cool is that 🙂 The Parol looks very pretty, I’d love to get my hands on one of those. Though I don’t celebrate Christmas, I can imagine how special the energy of the Philippines is during the season. I love how the holiday is centered around cultural events rather than consumerism, as is the case in America. Seems like a beautiful time of year to visit! That is one long holiday season. It would be cool to spend the several months to be able to experience all of it. Using caroling to fundraise sounds like a novel idea. Oh wow, as early as September! I know that the Philippines is a very Catholic country, so it makes sense that Christmas is one of the biggest and most notable celebrations of the year. Very cool that your traditions mix the best of both Asian and Western culture! I love that Christmas Carolling is still a strong tradition – we have big concerts of carols in Australia, but seem to have lost the tradition of carolers going between homes and throughout the streets. Thanks for sharing about Philippine Christmas traditions … and Merry Christmas! 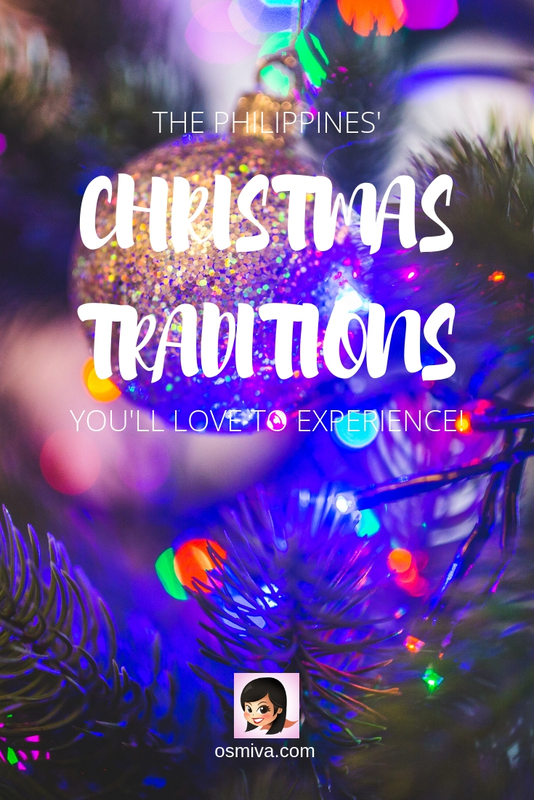 I loved reading about Philipino christmas traditions. Interesting that some of these are similar like in Colombia – such as the Novenas and Alguinaldos. I can’t believe how long the Christmas season is there! Thanks for the cultural lesson. I love the tradition of the parol! Those lanterns are so lovely and festive – something that I never see at home. I’d love to experience it in person – it looks magical! A very interesting post that acquaints us with the Christmas traditions that are native to the Philippines. All of these are so fascinating and unique.However they are still linked with the traditions around the world. The Parol looks really beautiful while the tradition of Panunuluyan sounds so fascinating. What a great article. It’s always nice to know how other cultures celebrate Christmas and the festive season. The Philippines really know how to celebrate Christmas! It’s great to learn about the cultural nuances like Parol and local sweets which makes it more festive!